USA - Bandit Lites is making it easier than ever for access to all things lighting, including quotes, concerts and photos with its new mobile app. 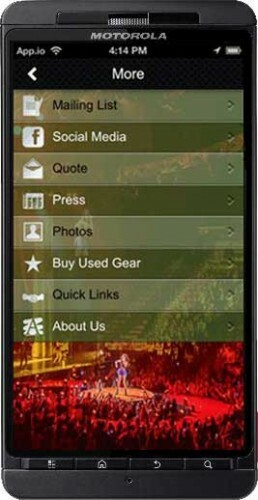 For those looking for buy new or used gear, the app allows users to purchase everything from fixtures, gobos, consoles and even set pieces. Additionally, those looking for a rental, sales or touring quote will have direct access on the app. Other features include access to press, photos and social media. 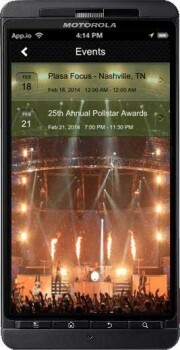 Users will also be able to submit photos of concerts in addition to finding events and venues near them. Users will also have the ability to stay up to date with easy access to Bandit press releases, events, and the Dimmer Beach Blog. The free app is available for both iOS7 and Android operating systems. A Windows phone version is being developed and will be released soon.